Yes, it is possible to run a fabulous-sounding budget Bluetooth system, and here it is, writes a somewhat gobsmacked Ashley Kramer. WAY BACK IN March 2011, I reviewed Myryad’s Z142 integrated amplifier along with the matching Z114 CD player (full review here). Both components are excellent performers, but the amp in particular is a standout in its class as further documented in this review. The Z142 is still going strong as the entry level integrated in Myryad’s range, but my taste in sources has evolved and the CD player isn’t quite as relevant as it once was. These days, a lot of my hi-fi time is spent listening to Pandora internet radio streamed from an iPhone, sometimes on headphones, other times on one of the review Bluetooth streamers that happen to be lurking around. The local Myryad agent is also the local QED agent, and as such is well aware of my fondness for Bluetooth given that I’ve also reviewed QED’s uPlay Plus Bluetooth receiver (review here). One day, we got to chatting about the wireless future and I started wondering if it was in fact possible to live with a budget hi-fi system that was connected to the world only via Bluetooth. The challenge was obvious, so in short order, a Z142 was delivered to match up with the review uPlay Plus receiver that I still had onsite. 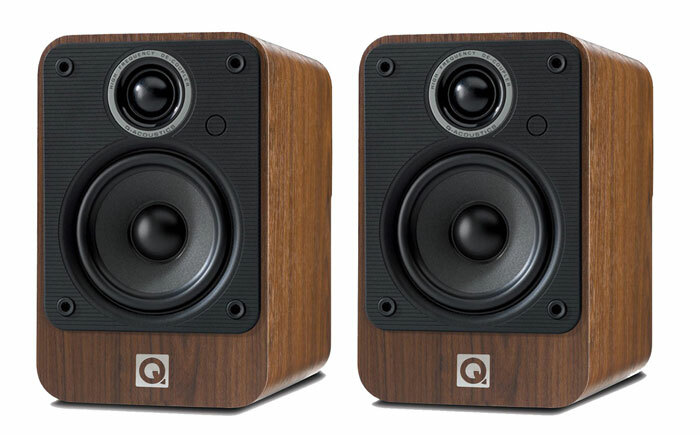 Having never reviewed anything from the Q-Acoustics range bar the company’s QTV flat panel speaker system, a set of Q-Acoustics 2020i speakers in walnut finish were also dropped off along with a set of matching stands to round out the system. More information about the Myryad Z142 and QED’s uPlay Plus Bluetooth receiver can be found in the aforementioned reviews but to recap, the $1399 Z142 is a pretty conventional 50 watt per channel integrated amplifier – traditional steel construction with a front mounted volume knob and some pushbutton controls to select inputs and turn the unit on and off. There’s a 3.5mm headphone socket round front and a plethora of analogue RCA inputs round back, along with a MM phono input that alternates with yet another RCA input. There are no tone or balance controls provided and there’s only one speaker zone driven via a set of high quality metal speaker binding posts. Inside is a big toroidal transformer supplying seven separately regulated power supplies with a single heatsink venting through top mounted slots. The $249 uPlay Plus is a simple enough device, yet it’s the more advanced Bluetooth receiver in the QED range –the standard uPlay is available for $50 less but the Plus brings in a higher spec Bluecore 5 chipset with less distortion, support for the latest codecs, isolated analogue and digital sections as well as a Toslink optical digital output that allows it to be hooked up to a DAC. At $499, the Q-Acoustics 2020i speakers don’t quite match up to my speaker first hi-fi philosophy with an amplifier this good on the end. At the price, you’d be forgiven for not expecting all that much but these little stand-mounts are stunners – they’re very well built, look good and sound lovely. Carefully removed from the boxes (the tweeter is perilously exposed under the soft grille cloth), the 2020i’s construction quality is obvious as soon as they’re unwrapped. The cabinet is described as being a ‘beautifully finished, low resonance’ number and this is entirely accurate. They’re vinyl wrapped, which is fine at the price but the walnut wrap of the review units is deeply textured and nice to touch, while the 5kg cabinets are remarkably solid, even considering their compact dimensions. The rear of the cabinet is home to only a single reflex port; the bi-wire capable speaker connections are located underneath in a channel that runs along the bottom of the speaker. This initially seems a strange choice but it makes perfect sense when combined with the purpose designed stands, because it’s part of an elegant cable management solution that’s a neat touch at this price point. The bottom mounted speaker terminals make a lot of sense. It’s a bit of a mission to get the cables in place, but once they’re connected and the speakers placed on the stands (which allow the speakers to be bolted on), the cables can be run down the rear section of the stands. So owners don’t get to see cables at all until they exit at the rear of the stand’s base. This solution limits the thickness of the speaker cable that can be used but at this level, the presence of anaconda thick speaker cable is extraordinarily unlikely. The drivers are a 25mm soft dome tweeter, which is decoupled from the cabinet, and a 125mm mid/woofer, which is made using carbon fibre and ceramic-coated paper. Specifications indicate that the 2020i’s are relatively easy to drive and quite efficient (6 Ohm nominal impedance dropping to 4 Ohm minimum and 88 dB sensitivity). Frequency extension is quoted as being 64Hz – 22kHz (+-3dB). In keeping with the budget price tag of the gear, speaker cables and interconnects were basic (but good quality) copper bits grabbed more or less at random from my cable bin – Audioquest interconnects and Chord speaker cable. Even with the speakers and amp brand new from the box, the system sounded good from the first minute, offering a degree of insight that surprised me considering the source (Pandora from an old iPhone). If the goal was to see if the Bluetooth only system was a viable choice, then the challenge was effectively over from the first minute. The warm and relaxed delivery of the 2020i’s, combined with the quality of the Myryad amp offered a smooth, yet surprisingly resolved sound. Even with some good disc-based digital sources on hand, there were no issues sticking with the Bluetooth system for not only the first weekend but also for the first couple of weeks. Like most small speakers, particularly stand-mounts, the 2020i’s vanished into the acoustic space, placing a precise image on a deep and commendably wide soundstage. The speakers can be placed in a more or less conventional position in a room and they’ll still sound good but when they’re carefully set up, it’s possible to dramatically improve the sound quality, especially at the low end. The quoted low frequency extension is modest but the speaker tuning means that the ports are quite vocal and there’s an obvious bass peak, but fortunately this is manageable. The speakers are supplied with foam bungs to plug the reflex ports – I found that I preferred the sound of the 2020i’s with the ports blocked and the bass adjusted to suit the room by positioning close to the rear wall. With a bit of experimentation, it’s possible to get a fine balance between bass weight and quality, so don’t be afraid to move the speakers around – your room is likely to be very different to mine. Pandora’s low quality streams sound good but 320kbps rips fed from the iPhone sound notably better, which shouldn’t come as a surprise. What did come as a surprise was just how good these budget speakers sounded when fed with a good disc player. With my Marantz SA8260 hooked up to the Z142, the sound quality took a leap upwards – I’d forgotten just how nice the Myryad could sound, but the synergy here was remarkable. A friend popped over for a coffee and I had my main system playing. He was somewhat impressed but was more interested in hearing the “little speakers and the cheaper amp”, so I played it using the iPhone as a source and then with the Marantz. To say that he was blown away would be an understatement. The closest analogy I can find would be going for a ride in a serious sports car: you expect fire and brimstone, and while even those high expectations can be met, they’re unlikely to be exceeded. But then you climb into a budget runabout, not expecting all that much only to find that the thing drives like the legendary Peugeot 205GTI. Now that’d be impressive and that’s how he reacted to the budget system combo. Yes, it was being fed by a superior SACD player, but Yamaha’s CD-N500 Network CD player was in residence, and that’s cheaper than the amp and sounds fabulous on the front of the Myryad/Q-Acoustics combo. So this system ticks all the boxes. It sounds good with the little black box of the uPlay Plus as a source, all the more so when higher resolution computer audio files are used (320kbps, not 24/192 – let’s keep it real). However, it sounds great for the money with a CD player in front, as it would with a good USB DAC. As far as Bluetooth receivers go, the uPlay Plus is a good one, second only to Arcam’s rBlink when it comes to the review units that have crossed my path. 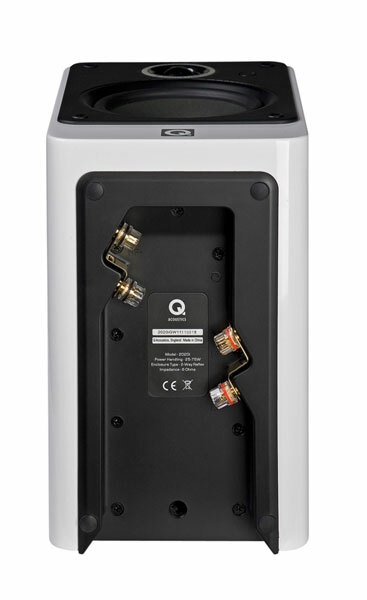 The Z142 is one of the better amps in the $1000-$1500 price range and the Q-Acoustics 2020i’s are lovely little speakers – as good as anything I’ve heard at the price.